Notorious across the globe as one of the most controversial political figures in history, Cuban ruler Fidel Castro has lived an intriguing life under THE WATCH of millions. From a young revolutionary who overthrew a corrupt dictator using a small guerilla army to being the target for assassination allegedly 600 times, the longevity of Castro’s rule and iconic nature has been nothing short of remarkable. 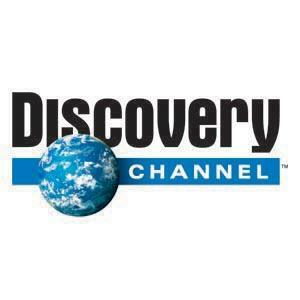 Today, Discovery Networks Latin America/U.S. Hispanic (DLA/USH) and AMERICAN HEROES CHANNEL (AHC) announced a global programming initiative to present CASTRO: THE WORLD’S MOST WATCHED MAN (wt) a one-hour documentary looking at the life of Fidel Castro through the eyes of the spies who have observed him for over a half-century. 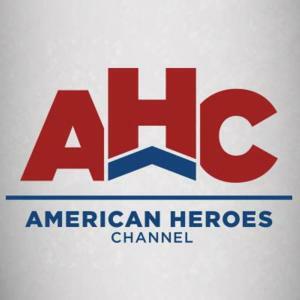 It will premiere on AHC in 4Q 2015 and on Discovery Networks International’s factual channels in more than 220 countries and territories this fall. · Chris Simmons: Senior Counter Intelligence Specialist at the Defence Intelligence Agency. He was a principal figure in most US Counterintelligence successes against Cuba from 1996-2004. · Domingo Amuchástegui: Former head of the Cuban Embassy in Guatemala. Writing first in the Cuba Transition Project and then the Miami Herald, Dr Brian Latell recently energized readers with his feature, New revelations about Cuban spy Ana Montes. I, however, was greatly disappointed with the article. To start, he sensationalized several trivial issues and recycled old news stories (yes, she was a “true believer” volunteer and yes, she was brought to the Cubans by talent-spotting agent Marta Rita Velazquez). None of this information is new. However, he then misinterprets several key facts due to a lack of understanding regarding the field of counterintelligence, in layman’s terms – spy-catching. For example, Latell claims that Montes met with her handlers “initially in New York, and later at her request in the Washington area…” Any Counterintelligence officer knows Havana would never consider running a penetration of the US government from 225 miles away. Having an agent or officer travel that distance once or twice a month for an extended period would be a huge risk to the security of the operation. Montes may have “asked” the Cubans for a DC-based spy handler, but the reality is she was going to be transferred to a local operative regardless of her wants and wishes. More dangerous (and out of context) is his claim that during her interrogations, she was told that investigators “had information from a senior official in the Cuban intelligence service concerning a Cuban penetration agent that implicated Montes.” While that may be – in part – what the Pentagon document said, rare are the instances wherein an interrogator would truthfully tell a suspect they were betrayed by a colleague. That said, it is a common ploy to lie to a suspect and tell him/her their own people gave them up. This is what occurred with Montes. The FBI wasn’t the only organization that preferred to wait – those of us in the Defense Intelligence Agency wanted to continue building the case as well. The “others in the Cuban spy network” weren’t part of some mysterious massive spy ring, but rather the compañeros she’d served during her espionage career. Dr Latell is an exceptional analyst in his field. That said, Counterintelligence is a discipline unto itself, rendering any analytic generalist a poor job fit for analyzing spy services. Counterintelligence analysis is – and will always be — best performed by badge-carrying Special Agents skilled in investigations, operations, and collections. PANELISTS: Dr. Brian Latell, is a Senior Research Associate at the Institute for Cuban and Cuban-American Studies (ICCAS). He was a Professor of International Relations at Georgetown University. 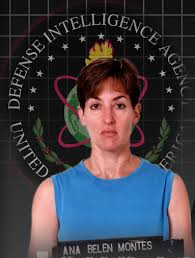 Dr. Latell served as National Intelligence Officer for Latin America from 1990-1994. His work as a Latin America specialist for the Central Intelligence Agency and the National Intelligence Council began in the 1960s. He was awarded the CIA’s Distinguished Intelligence Medal. Latell has published extensively on Cuba, Mexico, other Latin America subjects, and on foreign intelligence issues. Dr. Latell is the author of After Fidel: Raul Castro and the Future of Cuba’s Revolution and of Castro’s Secrets: Cuban Intelligence, the CIA and the Assassination of John F. Kennedy. Pedro Roig, Esq. is a Senior Research Associate at the Institute for Cuban and Cuban-American Studies, University of Miami, historian, attorney and author of the book “The Death of a Dream: A History of Cuba.” He is a veteran of the Brigade 2506. Dr. Jose Azel is a Senior Research Associate at the Institute for Cuban and Cuban-American Studies (ICCAS), University of Miami. He was one of the founders of Pediatrix Medical Group, the nation’s leading provider of pediatric specialty services. Dr. Azel was an Adjunct Professor of International Business at the School of Business Administration, Department of Management, University of Miami. He is the author of Mañana in Cuba. Dr. Susan Kaufman Purcell, Director of the Center for Hemispheric Policy at the University of Miami. Prior to assuming her current position, Dr. Purcell was Vice President of the Council of the Americas and the Americas Society in New York, and from 1980-1981 she was a member of the U.S. Department of State’s Policy Planning Staff. She has written extensively on Latin America and on U.S. Policy. The outstanding e-book State Secret, by Bill Simpich, concurs with the scholarly destitute paperback edition of Castro’s Secrets (Palgrave Macmillan, 2013), by Dr. Brian Latell, in deeming CIA agent Rolando Cubela (AMLASH-1) as a double agent ultimately loyal to Castro. The retaliation hypothesis is neither logically nor circumstantially justified. Castro knew that risking everything to kill a sitting U.S. President would result in gaining nothing else than another U.S. President. And even declassified files in Eastern Europe show that he considered Kennedy the best option among the possible U.S. presidents emerging from the 1964 elections. Moreover, in 1984 Castro knew about an extreme right-wing conspiracy to kill the worst U.S. president for him, Ronald Reagan. The Castroit General Directorate of Intelligence (DGI) furnished the intel to the U.S. Security Chief at United Nations, Robert Muller, and the FBI proceeded to dismantle the plot in North Carolina. The plain fact is that Castro dodged the efforts to assassinate him by penetrating the Cuban exile and the CIA with DGI agents who told him right back what his enemies were up to. And he cautiously made no distinction. Long before the AMLASH plot, Castro assumed that the CIA stood behind any anti-Castro deed. On March 1, 1966, the Cuban official newspaper Granma broke the news that Rolando Cubela and Ramon Guin had been arrested “due to counterrevolutionary activities in connection with the CIA.” The coverage followed with a communiqué of the Interior Ministry: “The traitors Cubela and Guin were plotting an attempt against Fidel” (March 5), the announcement of their confession (March 8), the trial (March 9 and 10), and the sentence (March 11). 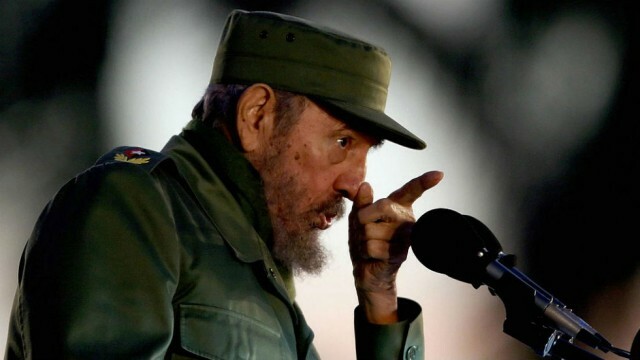 Article continues here: Rolando Cubela: A Castro Agent? •	October 8, 1963. The cable 6453 from Mexico City CIA Station to Langley reported wit delay that “an American male who spoke broken Russian” had said by phone his name was “Lee Oswald.” He had visited the Soviet Embassy on September 28 and spoke with Consul Vareliy V. Kostikov. It was also provided a description of a presumed American male entering the Soviet Embassy on October 1st. •	October 10. The cable 74830 from Langley replied that Lee Oswald “probably” was Lee Henry Oswald and specified that latest info was an ODACID [State Department] report from May 1962. Langley gave a description of Oswald and concealed two FBI reports recently added to his file: from Dallas (September 24, 1963) on his leftist political activities and form New Orleans (October 4) on his clashes with Cuban exiles. •	October 10. The cable 74673, drafted by the same CIA officers at Langley on the same day for ODACID, ODENVY (FBI), and ODOATH (Navy), gave as Oswald’s the description of the “presumed American male” from the cable 6453 and left out the most important hint from Mexico: that Oswald had spoken with the well-known KGB officer Kostikov. At the height of the Cold War, when Miami was a cauldron of international intrigue and conspiracy, intelligence agents and services abounded. Enemy operatives stalked one another, competing, carrying out high stakes missions, recruiting spies, and mounting counterintelligence dragnets. But it is scarcely known even today that from 1961 until 1975 two of the rival espionage services that operated here were Cuban. The larger and more aggressive was Fidel Castro’s General Directorate of Intelligence, the DGI, run by Manuel Pineiro, the notorious Redbeard. The other service, lean and obscurely proficient, was staffed entirely by courageous Cuban-American men and women. Collectively they were known –inside the CIA at least– by a curious cryptonym. They were the AMOTS. The shadow intelligence service they staffed was intended to relocate to Havana following the expected collapse of the Castro government, and then to serve the security needs of a democratic Cuba. They would form the agile, ready core of a much larger intelligence service. The AMOTS were a “miniature CIA,” according to an Agency veteran who worked with them. Members were recruited, tasked, and funded by the Agency, and managed by JMWAVE in Coral Gables, the largest CIA station anywhere in the world in the early 1960’s. A few CIA officers were posted at the separate AMOTS headquarters building near Miami International Airport but for security and cover reasons there was little personal interaction between the two. “Telephone contact with JMWAVE was frequent,” the resident CIA case officer at the AMOT installation, recalled. He said his visits to the CIA station “were rare.” “Each day I would meet with a station courier to pass on all of our processed materials and to receive station requirements.” The AMOTS were obviously highly productive, operating in secrecy largely on their own. There were about 150 of them, veterans of many professions in their previous lives in Cuba, trained in virtually the entire spectrum of operational and analytic tradecraft. Many were intellectuals and scholars, not inclined to volunteer for the dangerous infiltration and commando operations run by JMWAVE into Cuba. But their unsung contributions were of enormous value. What did they do? Ted Shackley, the legendary chief at JMWAVE testified about their work before a Senate committee, citing what may have been a hypothetical example. “We’d say, we are looking for a Cuban diesel engineer with a license, and they’d come up with one.” Miami exiles with special or exotic skills needed by JMWAVE were identified and recruited this way. Another CIA officer involved in Cuba operations testified that the AMOTS served as access agents, as “eyes and ears in the Cuban community.” They helped CIA, he said, in targeting potential agents, “hand holding defectors, and compiling personal and psychological information.” Some AMOTS, extensively trained in espionage tradecraft, “were sent overseas to help prepare other (intelligence) services.” He said that AMOTS managed safe houses and listening posts. They performed information-gathering and counterintelligence functions on a large scale. Dossiers were kept on prominent Cuban leaders. A monthly analytic newsletter about developments on the island was issued. Most refugees arriving from Cuba were first screened and interviewed by teams of specialists that provided raw intelligence that was valued by Washington analysts. Reporting about Cuban leadership dynamics, the economy, military maneuvers flowed into analysts’ inboxes. New arrivals from Cuba were also screened for counterintelligence purposes by specially trained AMOTS. Occasionally they provided American law enforcement with information used to detect and prosecute criminal activities. The most dramatic case centered on Che Guevara when he delivered an anti-American diatribe at the United Nations in New York in December 1964. AMOTS in Miami learned of a military-style attack against him planned by an exile faction. JMWAVE informed the FBI and arrests were subsequently made. In fact, nonetheless, the militants managed to fire a remote-controlled bazooka at the UN building just as Guevara was in the midst of his harangue. The shell fell harmlessly into the East River a few hundred yards short of the building, causing a geyser and rattling the windows of the building. No one was hurt, but had the UN been struck, casualties would have been likely. Until now, with the declassification of once highly sensitive intelligence records, the existence of the AMOT operations was known to few beyond the confines of the CIA. Sadly, therefore, the contributions of these anonymous Cuban-Americans have never been properly acknowledged. They served their new country –and the free Cuba they desired– with dedication, enthusiasm, and modesty. I am not aware that any former AMOTS have ever sought credit or fame by violating the secrecy oaths they swore to many years ago. Author Brian Latell introduces two of his books, “Castro’s Secrets”, and “After Castro”, to the members of Tequesta’s North Passage Yacht Club. Filmed and posted with the permission of Brian Latell by Rick Bennette of Fine Art Video Productions.